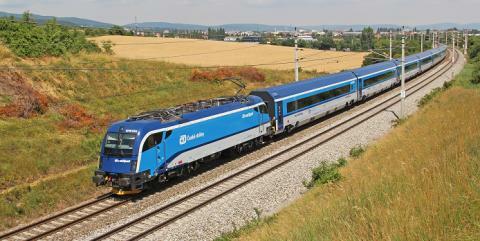 Czech Railways are the predominant railway operator in the Czech Republic, operating both passenger and freight rail services on regional, intercity, and, in cooperation with foreign operators, international routes. The fully Government-owned company also offer comprehensive rolling stock repair, ICT assistance, specialist training, and testing, research, and development services. Pavel Krtek has been the Chairman of the Board of Directors and CEO of Czech Railways since November 2014, having previously held the role of CFO. He is also a member of the Management Committee of the Community of European Railway and Infrastructure Companies (CER). Mr Krtek will give a speech on the evening of Wednesday 21 February 2018, welcoming delegates from across the globe to Prague, and 3 days of lively debate, exclusive one-to-one meetings, as well as formal and informal networking opportunities. He will also take part in a panel discussion entitled “Does competition benefit passengers?” on the morning of Thursday 22 February, debating with public and private operators, international organisations, and regulators. Bespoke pre-arranged one-to-one consultation meetings form the backbone of the summit, and Mr Krtek will take part in pre-arranged one-to-one consultation meetings with expert companies. The 6th International Railway Summit will take place in Prague on 21-23 February 2018. Organisations interested in learning more about International Railway Summit and about how they can participate in the event can visit http://www.irits.org or contact the organisers, IRITS Events. International Railway Summit provides a 'matchmaking' service between rail industry leaders ('buyers') and technical experts, based on buyer delegates' project requirements and the proven expertise of large and small suppliers that we have carefully handpicked. Based on this matchmaking, buyer delegates attend one-to-one consultation sessions with suitable suppliers during the annual summit. In addition to the one-to-one meetings, delegates also attend a conference programme given by key industry leaders and experts and network over lunches and dinners with their counterparts and industry colleagues from all over the world. International Railway Summit is hosted by IRITS Events. The 5th International Railway Summit will take place on 15-17 November 2017 in Kuala Lumpur, Malaysia, the first time the event will be hosted in Asia. The 6th International Railway Summit on 21-23 February 2018 in Prague, Czech Republic.